I haven't posted any belly pics or many updates yet on this pregnancy. I keep missing the boat and saying to myself "next week." 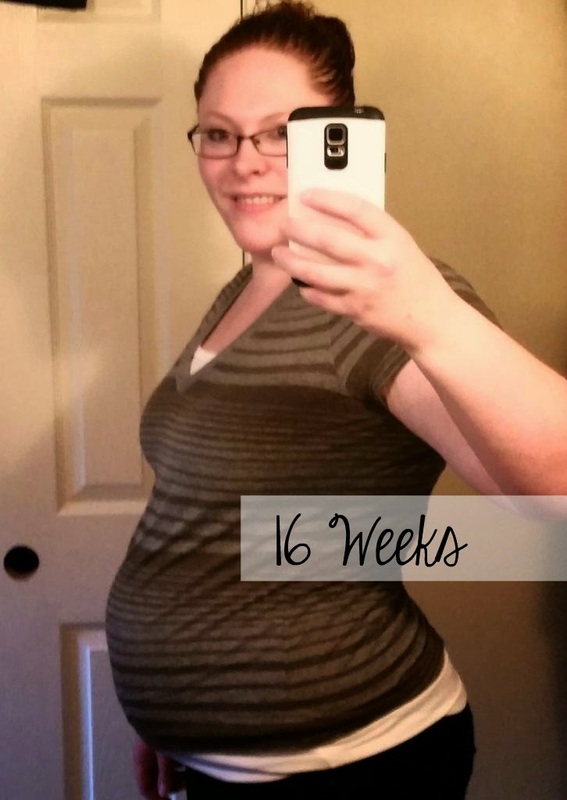 Well, THIS WEEK I am 16 weeks and I feel this is a mile stone. I am almost half way there! I was really, really sick weeks 7 - 14 but I was able to cut some of it with a magical cocktail of B6 and Unisom. If you are suffering from morning sickness, I highly recommend that you speak with your doctor about this! I still have some iffy days, but I am mostly functional at this point with limited pain and nausea. I find that if I don't eat regularly (including at night before bed) I wake up very sick, dizzy and short of breath. The pelvic/hip pain has started some, but nowhere near as bad as it could be. Acid reflux has begun but I can still sleep laying down (most of the time...) which is awesome! My feet and ankles are swelling like crazy, though, and it's getting uncomfortable. It may be related to my blood pressure problems. It's gotten high enough that I am on a low dose of medication with the plan to increase as necessary and I am seeing a specialist for the first time ever. 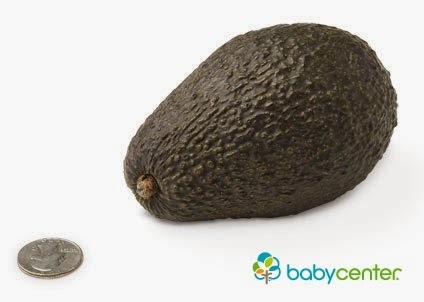 Baby is about the size of an avocado, according to Baby Center and is making him or herself known. When I use my doppler at home they kick at it like crazy and I am feeling little acrobatics on occasion. Feeling pretty good right now and super excited to see baby again soon and hopefully find out what we are having!